WITH YOUNG tradespeople among workers most at risk of exposure to deadly asbestos fibres, the president of the world’s top safety and health body taught trainee plumbers what to look out for and how to protect themselves. Asbestos remains the world’s worst occupational cancer killer, despite being banned in 62 countries. People at greatest risk of exposure include construction workers, electricians and plumbers. Young workers just starting their trades are particularly vulnerable. Recent research by IOSH, the Institution of Occupational Safety and Health, for the asbestos phase of its No Time to Lose campaign tackling work-related cancers, revealed startlingly low levels of awareness among some of these workers. Asbestos-containing materials only pose a threat if they are disturbed or begin to decay – but workers making alterations to buildings or fixing pipes in floors, walls and ceilings are more likely than most to disturb asbestos fibres if they’re there. To address this, president of IOSH Craig Foyle taught a class on Wednesday 20 June of trainee plumbers in Lincolnshire to help them know what to look out for when they start work and the steps to take if they think they’ve found asbestos. 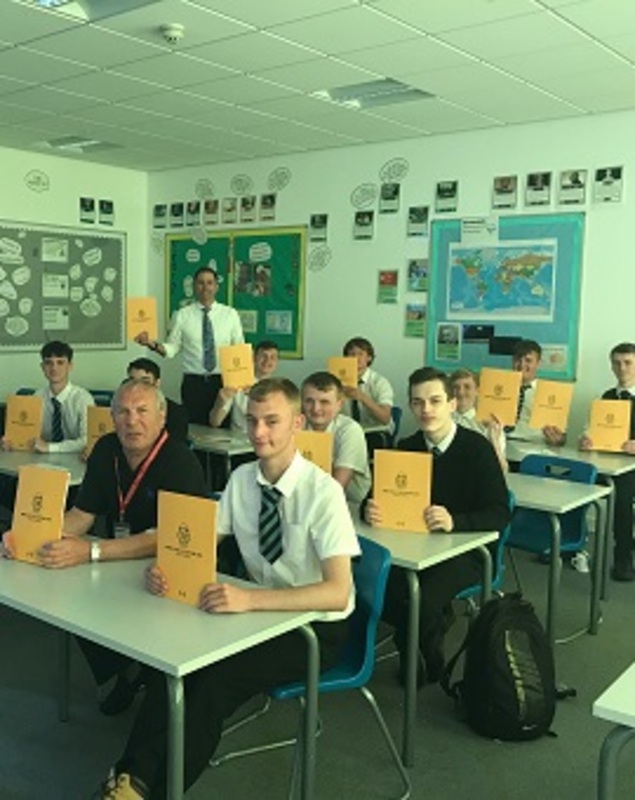 Craig – a leading consultant in project safety management, training and safety and health management – outlined risks and responses to the group of learners, who are training to be plumbers at University Academy Holbeach (UAH), near Spalding. The session, which IOSH hopes will be the first of others representing the campaign at colleges UK-wide and potentially further afield, was made possible by Geoff Westall, president of another industry body, the Chartered Institute of Plumbing and Heating Engineers (CIPHE). Craig Foyle said: “I’m really grateful to Geoff Westall of the CIPHE and Lucy Mawer, head of plumbing at UAH, for this opportunity to use the excellent No Time to Lose occupational cancer campaign materials as a way of engaging young people at the very start of their careers. “Learning about asbestos is already part of the curriculum for the course these students are doing, and the Academy and the CIPHE are champions of safety and health."